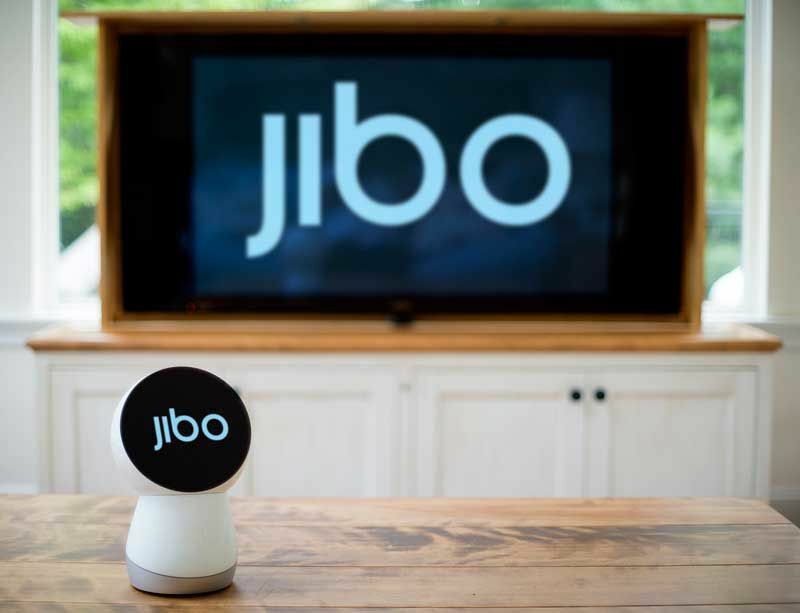 JIBO, a 2013 Boston startup, launched an IndieGoGo campaign last week and is off to a rousing start, lots of favorable press, and, as of the time of this writing, has raised more than $700,000 over their $100,000 goal. JIBO is a home device with a small screen that conveys emotions but is also used for social services, story-telling and other functions. It isn’t an appliance, nor will it be available until December, 2015. Apps from the JIBO store will be available in early 2016. But it is a momentous step toward a robotic family member that knows your wants and needs. JIBO sees with two hi-res cameras. It can recognize and track faces, take pictures and enable video calling. It has a see-and-track feature to turn and look at people and to support video calling. It uses AI algorithms to learn your preferences. It can hear, process and speak using natural language and has multiple microphones to let you talk from anywhere in the room. It proactively helps make everyday tasks simpler. Using natural social and emotive cues, as well as a connection to the home wifi network, it relates to each member of the household, delivering messages and reminders. “What if technology treated you like a human being? What if technology helped you feel closer to the ones you love? What if technology helped you like a partner instead of simply being a tool? That’s what Jibo is about,” said CEO and co-founder Braezeal in a JIBO promotional video. The device is 11” tall and has 3 full-revolute axes, which means that there are three components allowing the screen/head to swivel in any direction. Its oval display is also a touchscreen. It uses a high-end ARM processor and a Linux platform. The combination of swivelling and clever software graphics appears to master the jump from device to social friend. An SDK and developer units will be available months before the consumer December, 2015 ship date. Because JIBO is an open platform, its skills and applications will grow in unimaginable ways and should be fun to watch. Software app developers are paying attention: 1/3 or the IndieGoGo pre-orders thus far are developer units. Competitors in the social robot space include the $260 EmoSPARK (a box console with no screen or moving parts that ships later this year), the $575 Russian Cubic console (which is producing a beta run of 100 units later this year), and the mobile ADAM from Milan-based Hands Company (which showed ADAM at CES in Las Vegas earlier this year and plan to begin offering them for sale in Q4, 2015). I showed the IndieGoGo video of JIBO to two psychologists and my wife (who said that any device that can order Chinese food is a winner and wanted to buy one right away). Both psychologists said that JIBO really seems to have built a device that is socially attuned and likely to be a trustworthy and functional family member. Their comments, combined with the successful IndieGoGo campaign, suggests that JIBO may be a game changer in the new social robot marketplace.